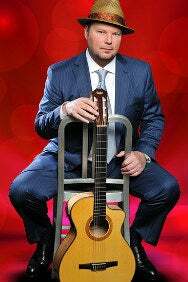 We do not curently have theatre tickets available for Christopher Cross. This could be because we have simply sold out or it could be that this show is no longer running. The information on this page remains purely for historical and informational purposes. Christopher Cross made history with his 1980 self-titled debut album, winning five Grammy Awards, includingfor the first time everthe four most prestigious awards: Record of the Year (for the single “Sailing”), Album of the Year, Song of the Year (also for “Sailing”), and Best New Artist. Now, 30+ years after his extraordinary emergence into the music business, Cross continues his recording and performing career with a new album, Take Me As I Am, that evokes the artistry of such great singer-songwriters as Joni Mitchell and Randy Newman while addressing contemporary concerns head-on  a combination which is sure to please his loyal fan base. "Take Me As I Am" is a unique offering from Christopher Cross, a hybrid of sorts  the songs are instrumentals with choruses to create the lyrical landscape. This is not quite a “guitar” album, but it leaves the listener with no question about his expertise on the subject. Two very special songs are “Roberta," dedicated to Christopher’s mentor, Joni Mitchell, and “Truth” with a lyric by Rob Meurer, one of the last songs Rob wrote before his tragic passing. This song is sung as a duet with Gigi Worth, a name that will be familiar to Christopher’s fans. Gigi and Rob were also very close, which makes her performance on this track all the more meaningful. The album closes with a song in memory of Rob called "Alvah," (Rob’s middle name), which features beautiful string arrangements by Chris Walden.